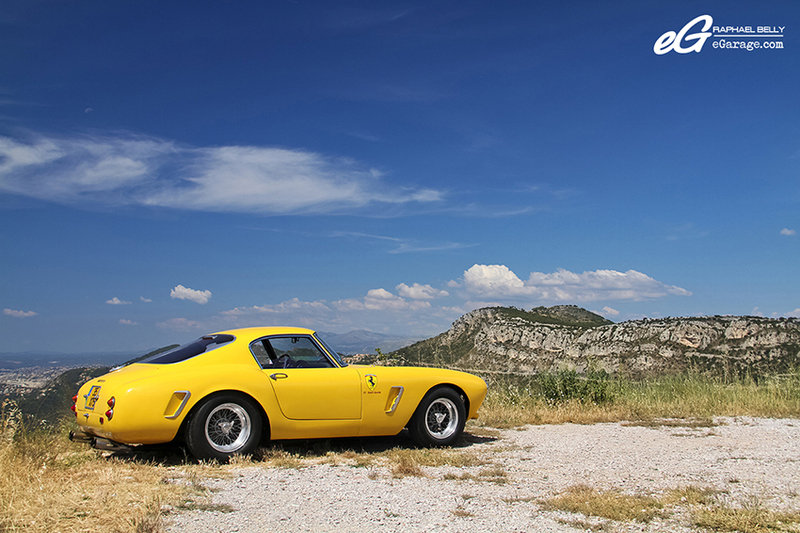 Many years ago when I had just begun in the automotive world I knew very little about classic cars and classic Ferraris. When I was in an automotive journalist internship in Belgium, I used to drive press test cars at car dealers. One day I was picking up a Volkswagen Golf in Brussels and when I left the dealer’s garage I saw a yellow car at the gas station. I recognized it as a Ferrari so I stopped to take pictures but I couldn’t tell which Ferrari model it was. But I fell in love with it. After searching, I saw it was a Ferrari 250 GT SWB, a iconic model of Ferrari. But it’s only now, after many years of attending the Concorso D’Eleganza Villa D’Este, that I’m realizing the rarity of the car I saw years ago. The Ferrari 250 GT Berlinetta SWB (Short Wheel Base) or also called Passo Corto in Italian has since became my favorite classic Ferrari ever. I wouldn’t have ever imagined having a photoshoot with one of these beauties. Sometimes, I forget how magic Monaco is and how some owners are kind. This is the story of a dream that came true. 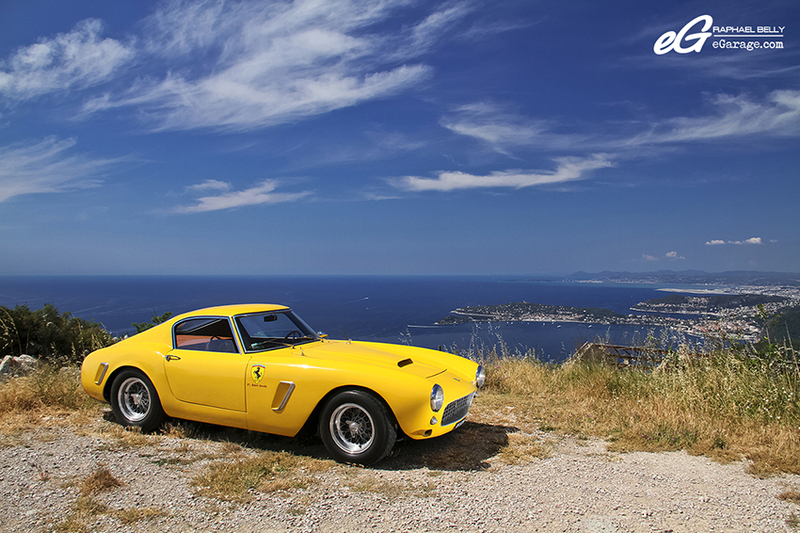 The Ferrari 250 GT Berlinetta SWB was introduced first during the 1959 Paris Motorshow as the evolution of the Ferrari 250 GT Tour De France. 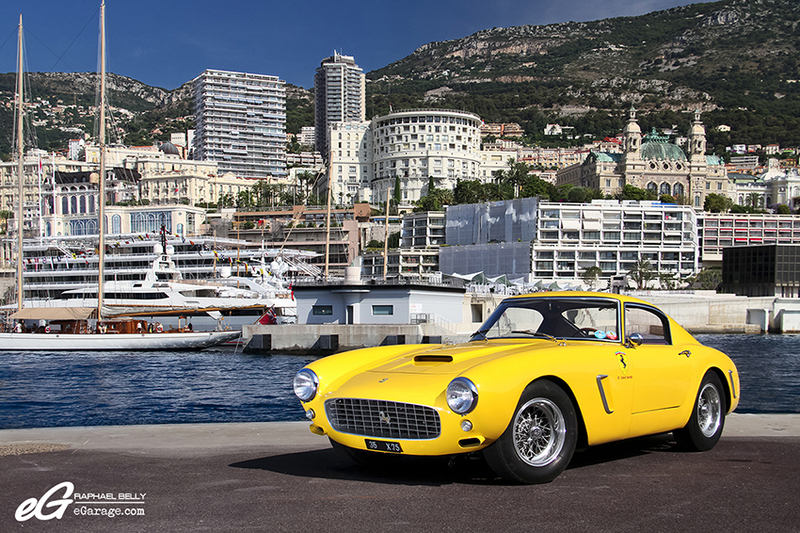 The main difference is that the wheelbase is reduced to 2400mm (2600mm for the Ferrari 250 GT Tour De) hence the name: Short Wheel Base, compared to the Long Wheel Base (LWB) for the Tour De France and all other previous Ferrari. The wheel base was reduced for better handling and this wheel base became the standard. 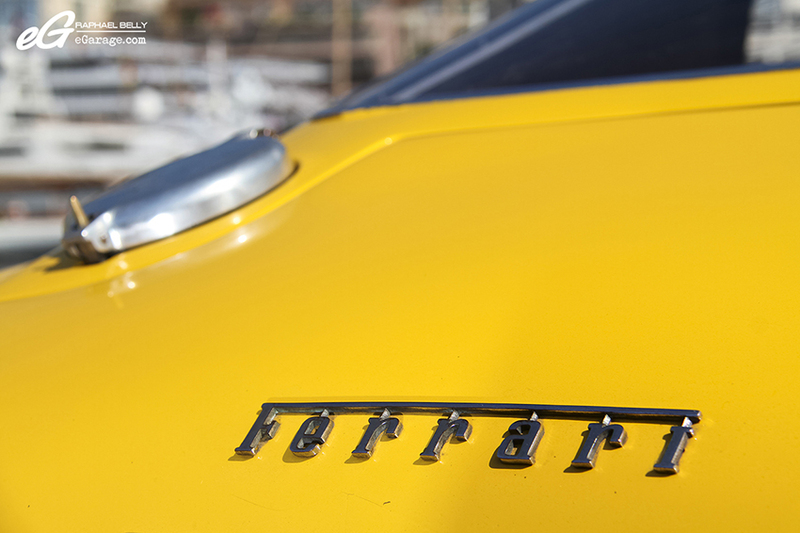 Same as the previous Ferrari cars, the car was designed by Pininfarina and bodied by Scaglietti. 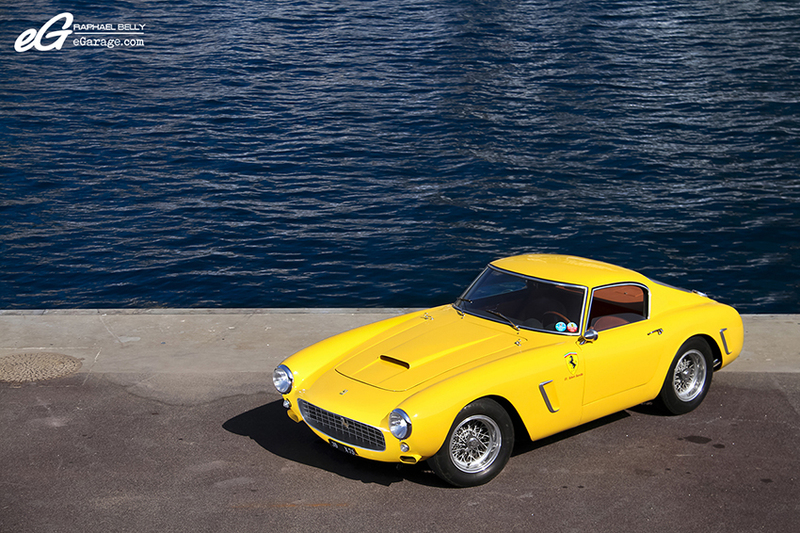 For me, it’s the most beautiful classic Ferrari ever produced, an incredibly elegant and classy Berlinetta. It’s small but beautiful, well proportionated, and look at its cute round backside accentuated by the 2×2 exhausts, how can you not fall in love? The first Ferrari 250 GT Berlinetta SWB produced were called Competition (Competizione) because they were specifically made for the track: a 280hp V12 with double bodied Weber carburetors, a four-speed manual gearbox, an alloy aluminum body over a chassis with tweaked suspension, and lightweight interior trim. 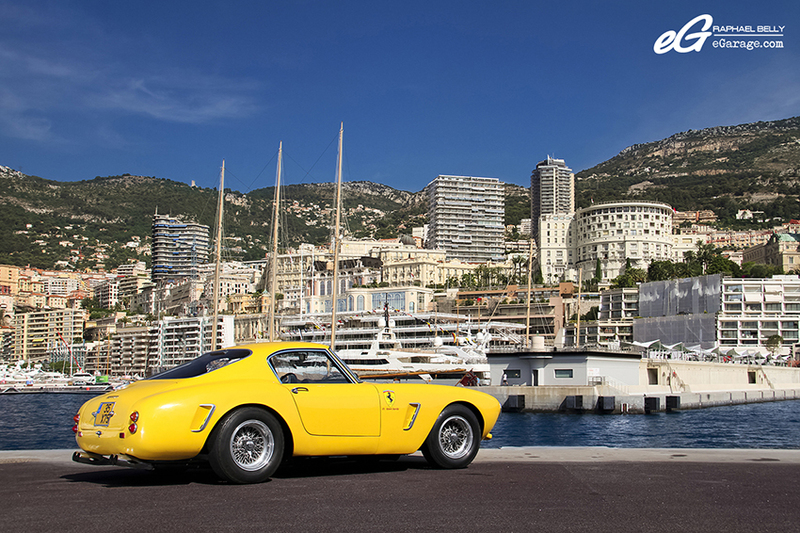 The 250 GT Berlinetta SWB Competizione was made for performance, both in acceleration, braking and handling, to a whole new level. It’s hard to get a precise production number but approximately 50 were made. 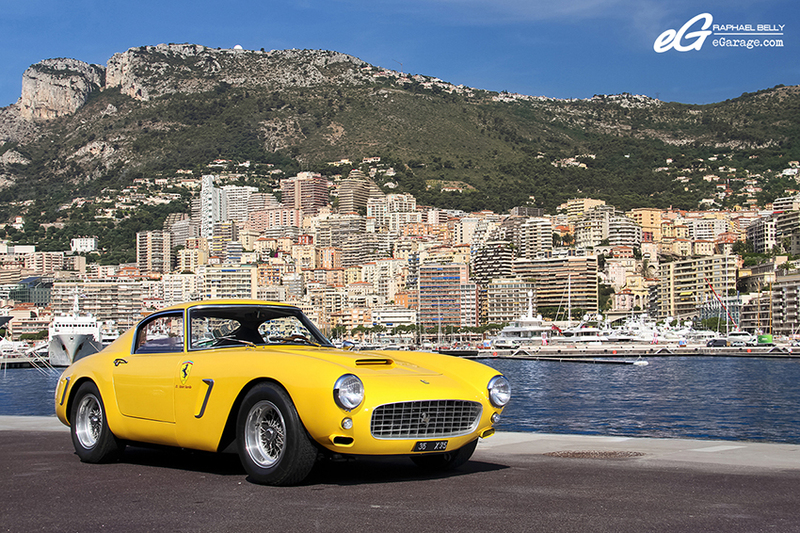 Later, the Ferrari 250 GT Berlinetta SWB was introduced with a new heavier steel body. 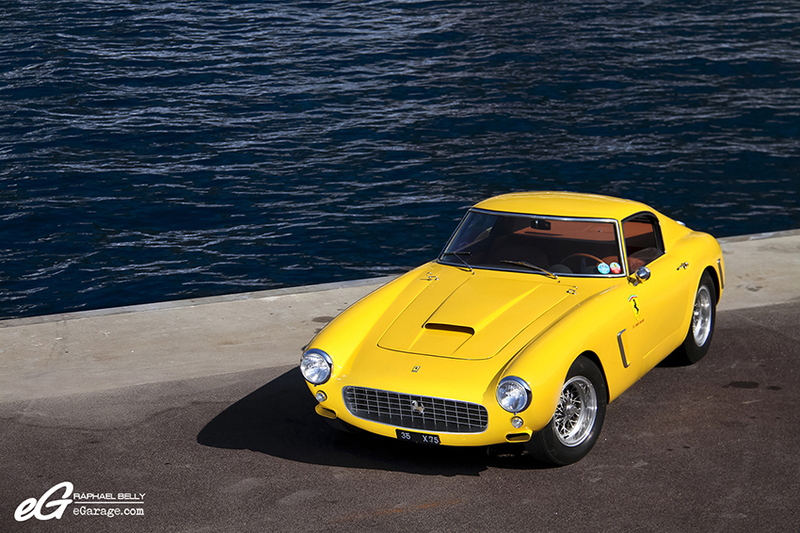 This model was called Lusso (also called Clienti) and was created with milder performance (compared to the Competizione version) and offered more road-ability. This name “Lusso” for the Berlinetta SWB is not the same as the 250 GT Lusso appearing in 1963, which was a full model. In the case of the Berlinetta SWB this term “Lusso” served essentially to differentiate it from the Competizione versions. The power was also reduced to 240hp. Obviously, there was the opportunity to mix between the two basic specifications, depending upon the client’s specific wishes. 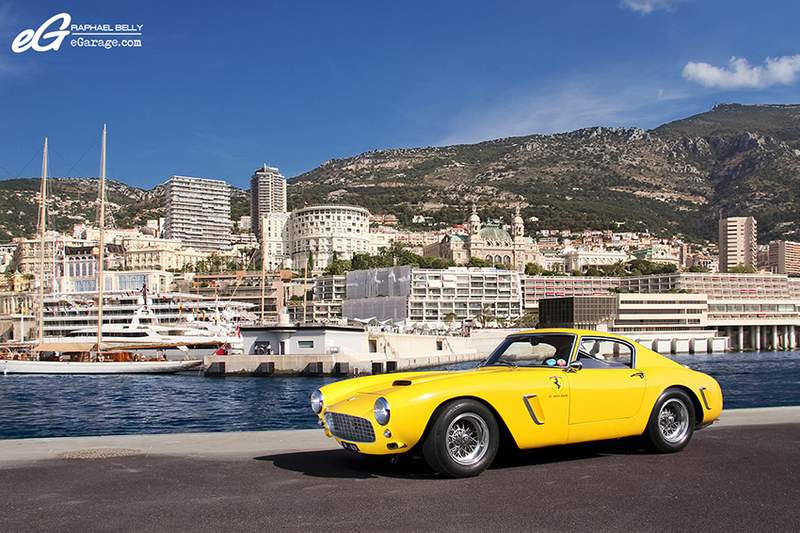 In total around 170 Ferrari 250 GT Berlinetta SWB were made (around 50 Ferrari 250 GT Berlinetta SWB Competizione and the rest in Lusso version). In addition to the performance, the main differences between Competizione version and Lusso is the addition of bumpers for the Lusso, a leather interior, slidable windows, and a better sound dampening which makes the weight jump from 1050kg (for the Competizione) to 1160kg for the Lusso. 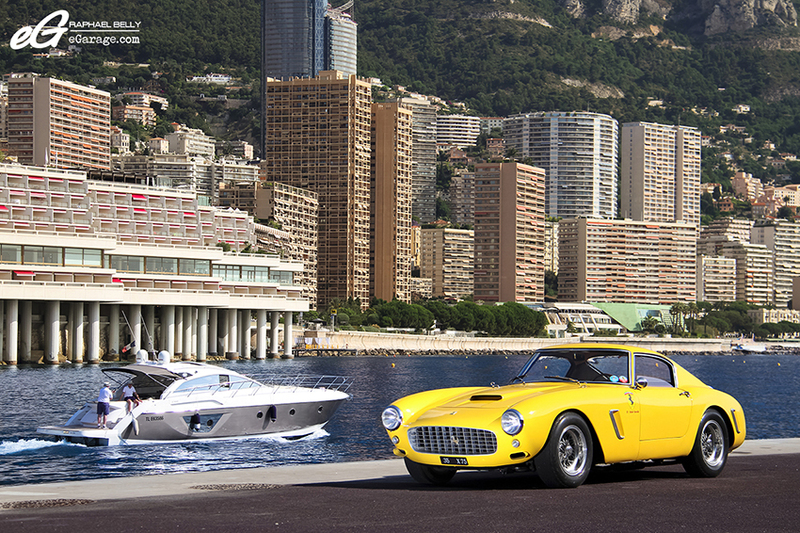 We have to keep in mind that, since these cars were totally hand-fabricated, each 250 GT SWB Berlinetta could seem similar in appearance, but each was totally unique in reality. 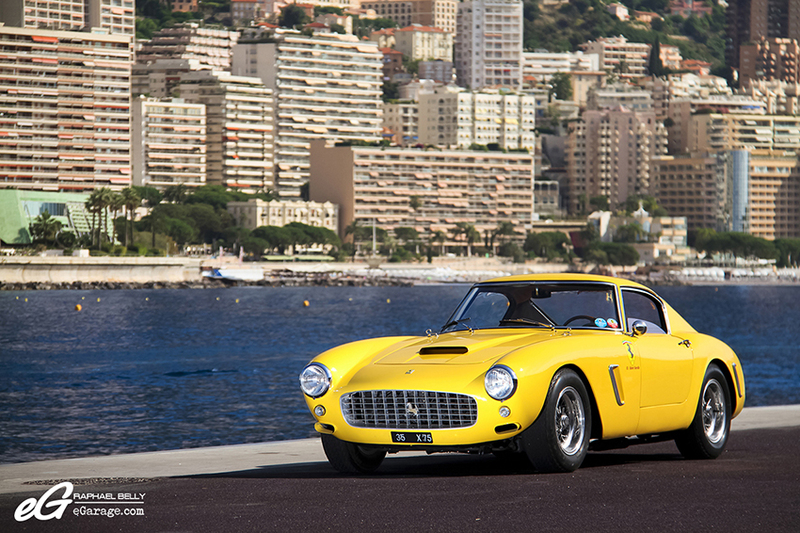 According to Ferrari, there are some clues to identify the year of production of a SWB. “The overall design changed very little during the three-year production run from 1960 to 1962. However, there are a number of detail differences that identify the period of production of a specific car. In the early months of production the front and rear wings sides were plain, as was the boot lid. There was an exhaust air slot in the top centre of the rear screen, and the sliding door windows had a pronounced downward curve to the top rear edge, whilst the front valance featured a pair of rectangular slots to cooling ducts for the front brakes. The cars produced from around the middle of 1960 featured vertical angled exhaust air slots on the front and rear wings, which had a trim surround on three sides, and teardrop-shaped indicators on the front wings. There was a license plate recess in the boot lid, and the brake cooling intake slots in the front valance had projecting surrounds. The late 1960 examples were very similar, apart from the cabin exhaust air slot moving from the rear screen to a recess in the trailing edge of the roof, and either sliding or wind-up door windows were available. If the latter option was specified, opening quarter lights were normally provided. All examples produced up to this point had an external fuel filler cap, located in a cut-out in the top left corner of the boot lid. The main visual differences between the 1960 examples and those after 1961 were in the shape of the door windows, which had a straighter top edge, and the relocation of the fuel filler cap, which was either on the left rear wing or hidden within the boot. 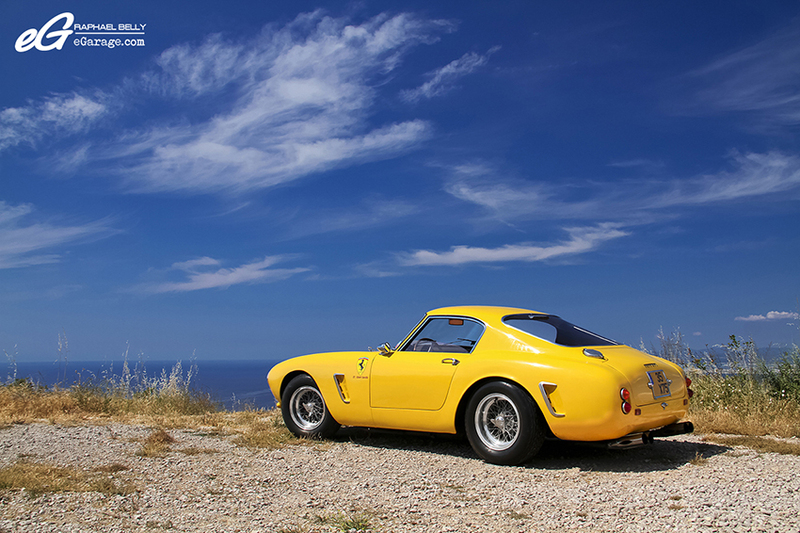 The yellow Ferrari 250 GT Berlinetta SWB I have in front of my camera is the 21st of the approximate 50 Ferrari 250 GT Berlinetta SWB Competizione. 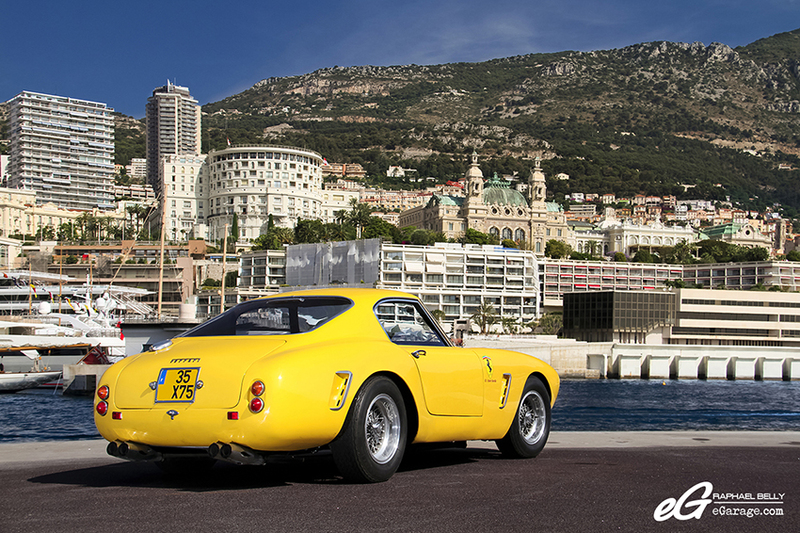 It is Chassis number #1965GT from 13th June of 1960. It was built as red and sold first to Ecurie Francorchamps (Belgium) for Jacques Van De Velde (Belgian driver). The Ecurie Francorchamps kept it 2 years until 1962. 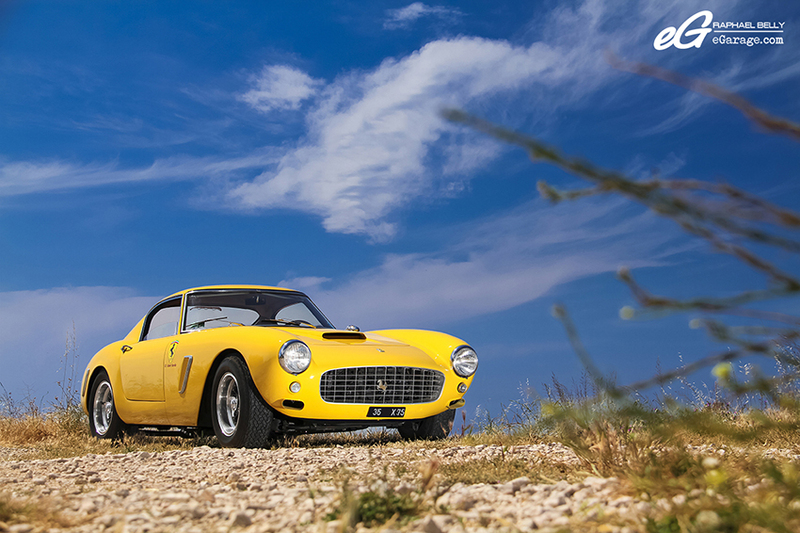 During this 2 years the Ferrari 250 GT Berlinetta SWB Competizione #1965GT raced in Belgium until December of 1962 when it was deeply damaged during Angola Grand Prix in Luanda (Africa), driven by Robert Darville. The same year it was bought damaged by Piero Drogo (racing driver and Italian coachbuilder) who kept it in this state for 11 years until may of 1973. At this time, it still possessed its lead of customs between Belgium and Angola. When the cars crossed customs they received lead with a chain to mark the passage in customs with a number. 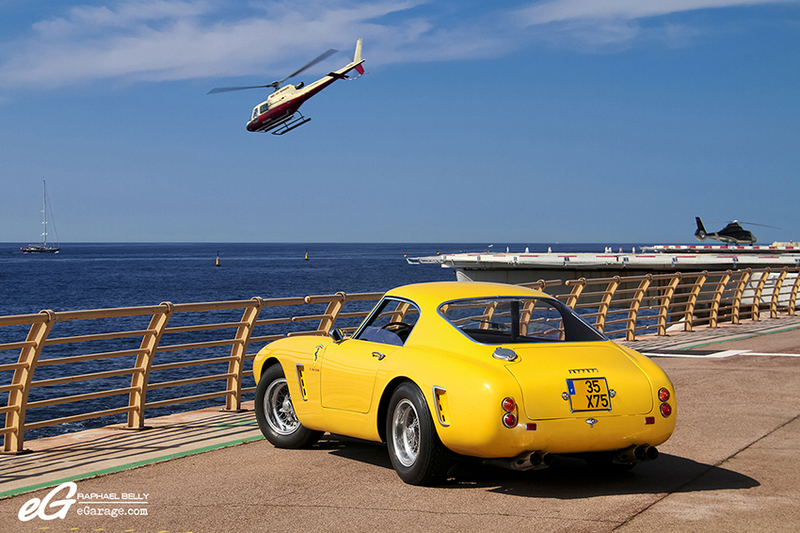 Pierro Drogo also owned another 250 GT SWB Berlinetta Competizione: #2445GT, which then became the Ferrari 250 GT Drogo Berlinetta since Piero Drogo reconstructed it with this new body (it was converted with this new body after its accident during 500 kilometers of Spa in 1964). Delivered in April, 1961 to the Ecurie Francorchamps (like #1965GT in 1960), Drogo sold #2445GT in the USA in 1964 (in California and more exactly to James Coburn). 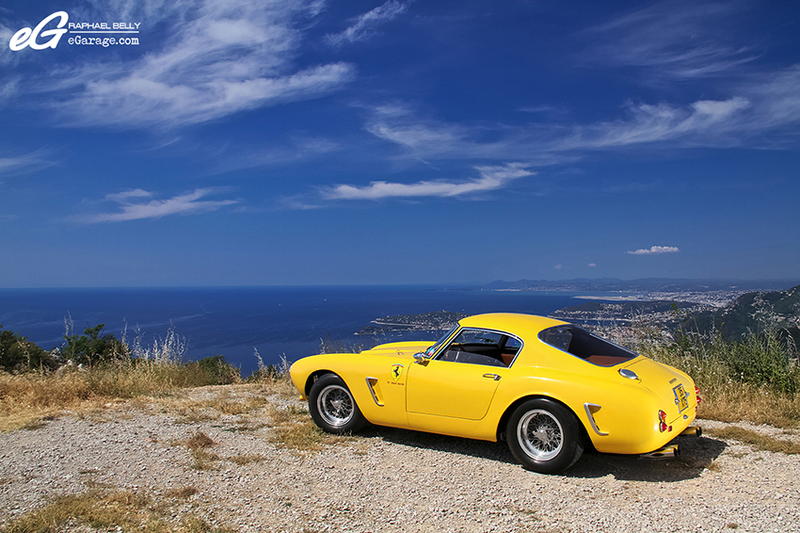 But to facilitate customs formalities bound to cross Italy towards USA, Piero Drogo decided to engrave #1965GT on the steering column, because it already had all the necessary papers from its export in Angola in 1962, thus it avoided numerous steps and long administrative deadlines. This #2445GT was exported being passed off as #1965GT to facilitate the task. Piero Drogo (who died in April 1973) kept #1965GT in this damaged state 11 years until May 1973, when it was then put on sale after his death, with its chassis number engraved at the right place below towards the crankset, removing any possible doubt on its authenticity. Up to the neighborhood of chassis number #2000, the chassis numbers were engraved on the front left beam near the crankset. On the second series after first Competition, it was then engraved on the top of the chassis which holds the steering column. Peter Bell (United Kingdom) bought it during the judicial sale in may 1973 and started to restore it only 13 years after in 1986 with its original chassis #1965, its engine #1965 and the as many original car parts as possible. The destroyed and unusable parts were replaced. 16 years after, in 2001 it was sold to our current owner who still owns the lead of customs. We started to take pictures on the main dike of the Monaco Port Hercule. This is one of the only few picture spots in Monaco and it offers a great background of the Çasino with some beautiful boats and the sea. Then we moved to the Héliport to get pictures of helicopters with the car. Finally we drove up the hills to go to the Tête de Chien (Dog head) – a small hill which rises over Monaco, located in France in La Turbie. 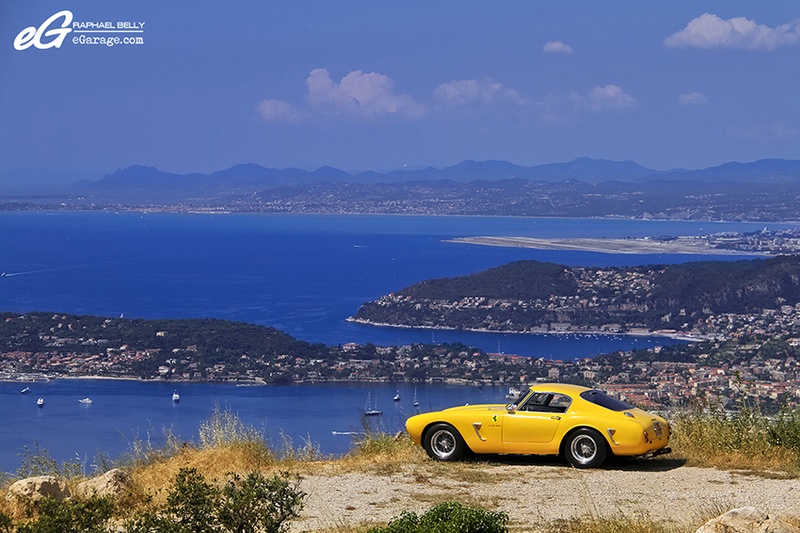 The road to reach La Turbie was amazing with the V12 screaming. The many corners of the dog head road was a pleasure, it was the opportunity to hear the car screaming through its accelerations. 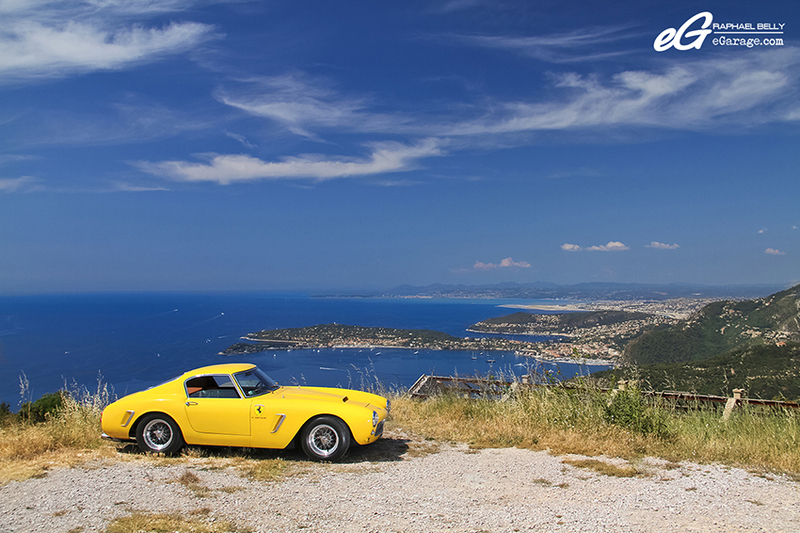 When the sky was clear, the Tete de Chien gave us an amazing 180° view on the Mediterranean Sea and the French Riviera from Menton (and even until San Remo Italy) to Cannes. 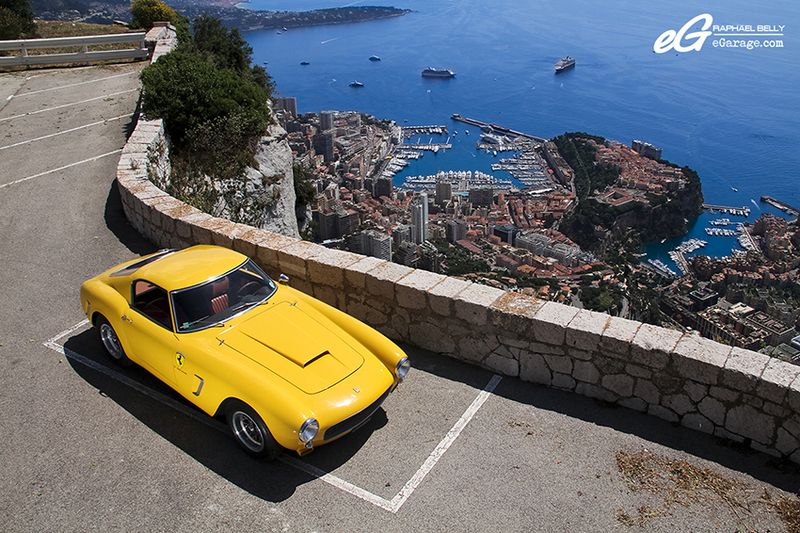 An unmissable point of view if you visit Monaco and his surroundings. But all the good things come (unfortunately) to an end. 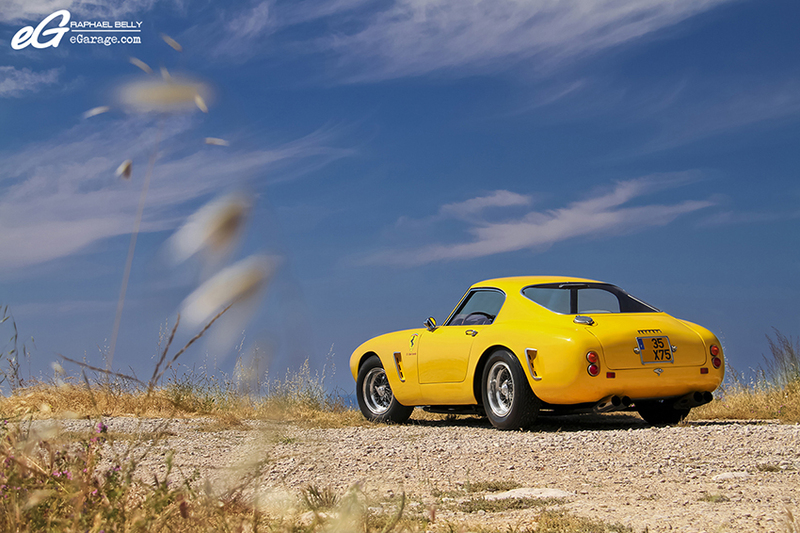 After this dreamlike morning and some magical moments with the Ferrari 250 GT Berlinetta SWB Competizione, it was time to thank the owner for having kindly driven his car outside and having taken some time for taking pictures with me. This will definitely be one of my best car memories.